This post by Meghan Quinn was originally published on ActiveRain. Meghan is a copywriting specialist for RealSupport, a team of real estate virtual assistants. Snapseed: An incredibly user-friendly photo app, Snapseed lets professionals quickly and easily edit their pictures. Like Instagram, its more famous counterpart, Snapseed allows you to apply filters and quickly share the photos on your social media platforms. However, this app takes it a bit further by including some more advanced editing tools within the app, such as saturation, lighting, textures and frames. 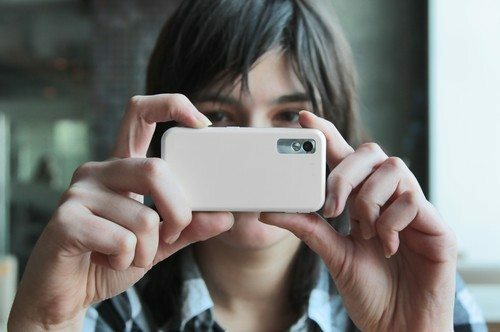 Takes: Takes is an innovative app that allows the user to take photos and have them turned into video. A great option for real estate professionals who want an app that can turn a series of property photos into an easy virtual tour, you can also choose a musical soundtrack for your video. You can choose up to 15 photos for each video and even add filters! 360 Panorama: This app allows the user to take panoramic photos of any scene — an excellent option for real estate professionals who can’t quite fit everything into a standard picture. If regular photos just aren’t doing certain aspects of your listing justice, then invest in 360 Panorama to take clear panoramic pictures that give the viewer a more accurate idea of the floor plan and layout. Diptic: Quite possibly one of the most advanced photo collage apps available, Diptic lets users combine photos to create beautiful before-and-after images or more in-depth collages. Offering over 100 layouts to choose from, the user can position his pictures to create a photographic series and then apply filters, adjust contrasts, colors, lighting, saturation and more. You can even add text over the photos to specify each room, if necessary. Let your imagination run wild with this one! Handy Photo: An in-depth photo-editing app, Handy Photo features a crop tool, a movement tool that allows for object moving within a photo, and a variety of different filters and textures. Additionally, Handy Photo also offers adjustments such as color, tone, brightness, saturation and warmth. Great for the real estate professional as well as the photo afficionado, this app offers a great deal of complex features in a user-friendly, mobile platform. There are many photography apps available, whether you use iOS or an Android, and no matter what your real estate photo needs may entail! Take some time to explore what all is available to you and become familiar with the different apps, their functions and capabilities.